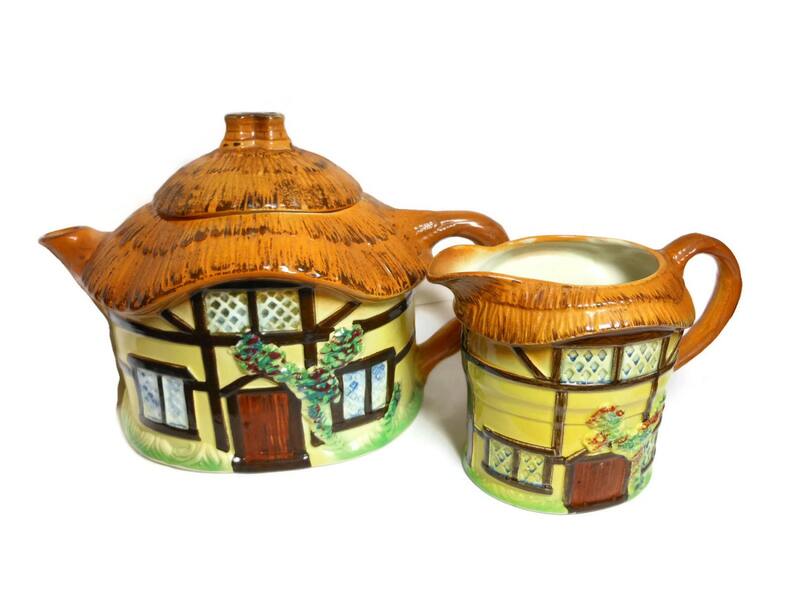 Signed tea set, 1950s early 60s, cottage ware, made in England, thatched cottage teapot and creamer, rare signed copy, designer Devon Cobb. 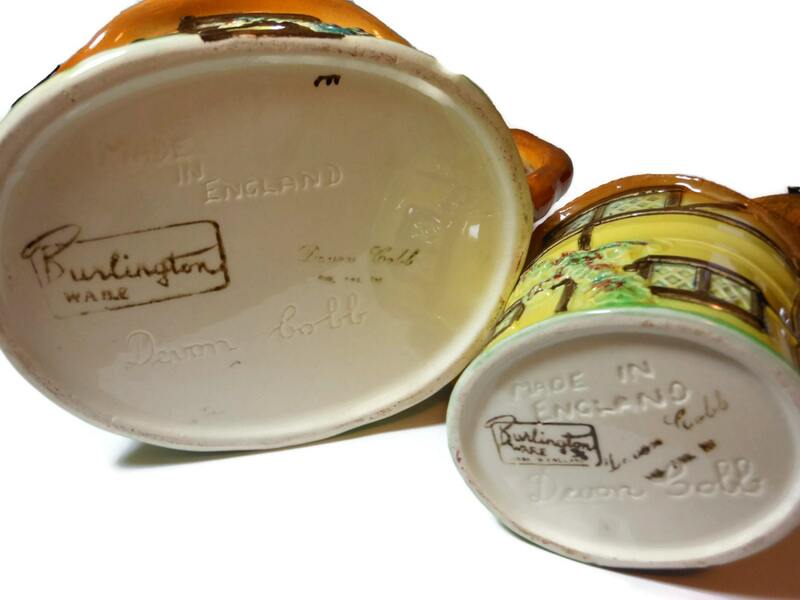 Burlington Ware Made in England mark used c.1959-63. 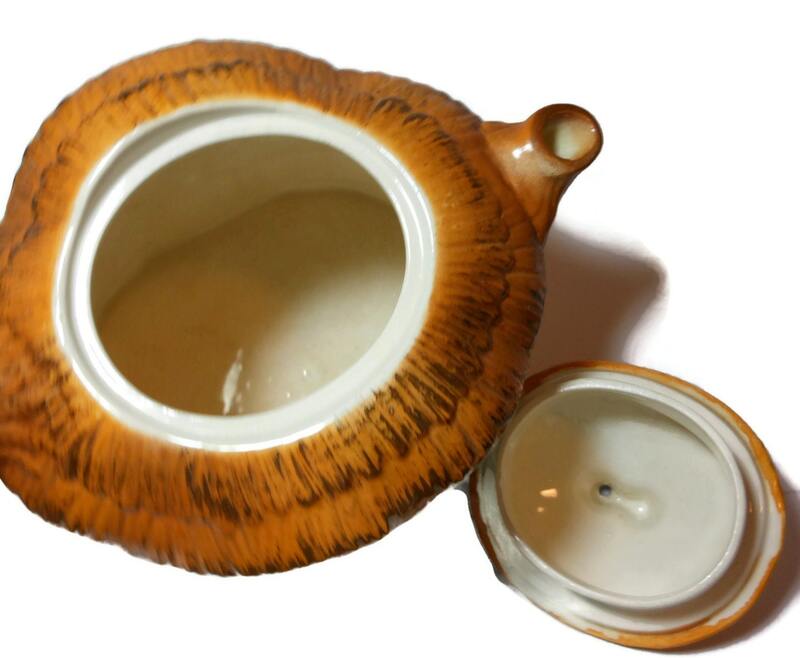 They traded as Burlington ware which later became Burlington Art Pottery. There is a divot on the underside of the creamer spout. Other than the aforementioned the set is in very good vintage condition. Very bright and shiny, especially for its age. 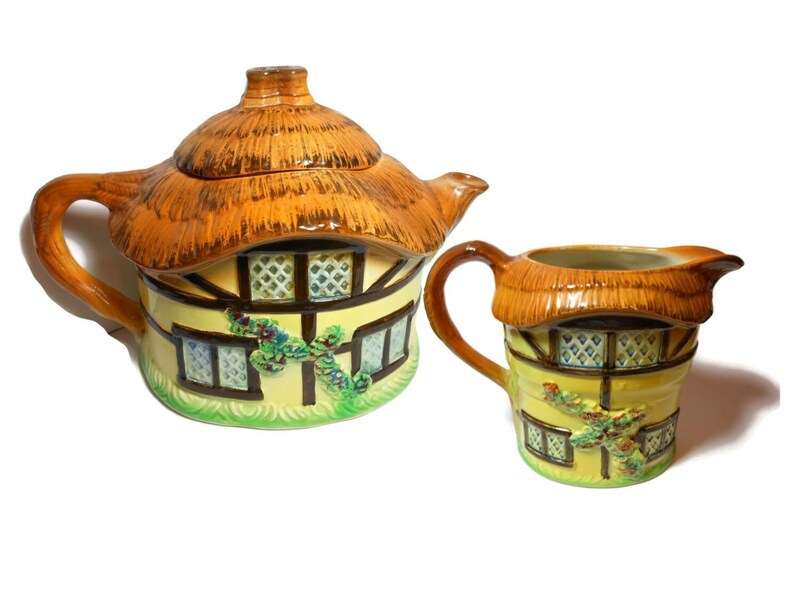 The teapot measures 8 1/2" (21.6 cm) from spout to the end of the handle and is 5 3/4" (14.6 cm) tall. 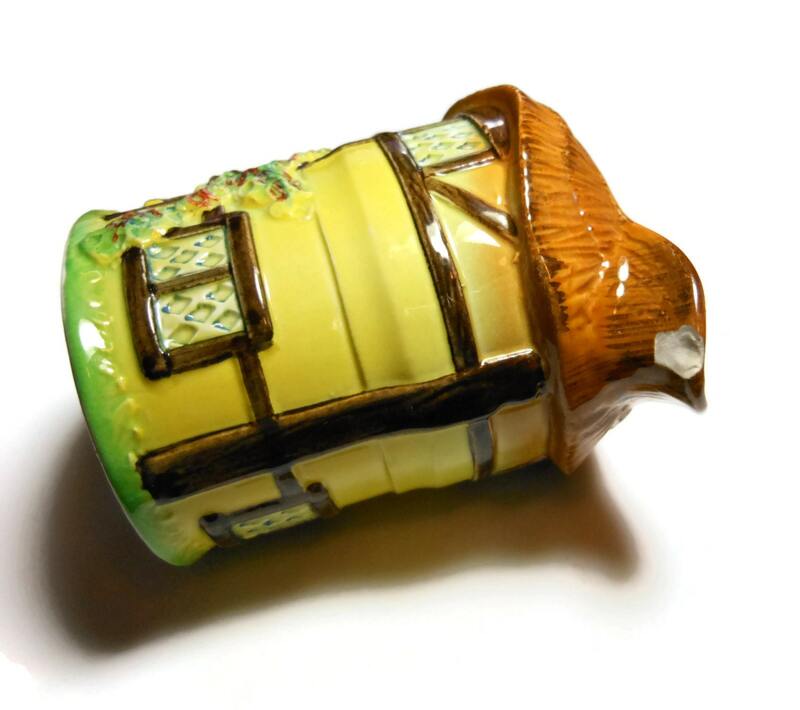 The The creamer is 5" (12.7 cm) wide and is 3 3/4" (9.5 cm) high.